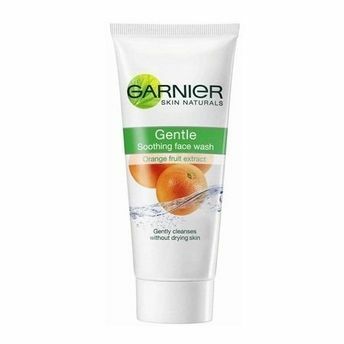 Garnier Gentle Soothing face wash is a gentle yet effective daily face wash that respects all skin types. Its unique formula blends a soap-free gel with selected natural ingredients. Alpha Hydroxy Acid, extracted from fruits, helps your skin regain a healthy glow. A natural moisturising agent counteracts the drying effect of water. A gentle cleansing agent respects your skin's natural balance. Explore the entire range of Face Wash available on Nykaa. Shop more Garnier products here.You can browse through the complete world of Garnier Face Wash .